Many iPhone users love the ingenuity that comes with the brand, most importantly, the excellent security features that they offer. Not forgetting the attractive feature-the cloud technology-keeping files safe, locked and secure for users only. Securing data and more is a top priority with the constant affirmation that user privacy isn’t debatable any day. A new iPhone is always launched and sold some months after the prior versions and guess what? It’s always a gold rush. But what happens to confidential files on the iPhone you’re discarding for the one-at-hand? How to keep personal information safe? You need some great iPhone eraser software to help. Let’s dig further. Your present iPhone will pave the way for a new one in few weeks: I’m optimistic you will catch the fever. Of course, you delete your files on the old iPhone before discarding it, but they can still be recovered when you’re not there because it wasn’t permanent. Here’s when to personal information now and forever. iMyFone Umate Pro for Windows or iMyFone Umate Pro for Mac iPhone eraser software come to the rescue. The iPhone eraser software secures data when selling, recycling or donating your iPhone. Masterly it was designed with a 0% recovery chance in the hands of others. It offers protection to personal information now and forever. 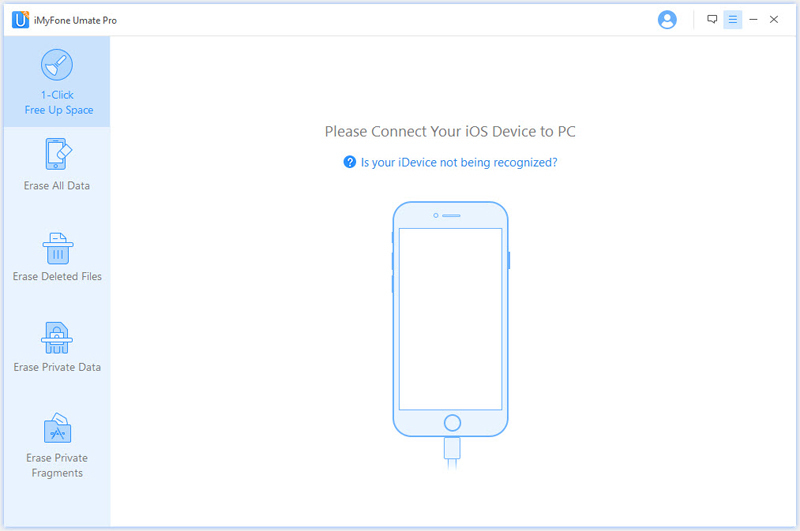 The software supports all IOS devices and everything can be deleted. iMyFone Umate iPhone eraser guarantees total privacy even when exposure risk is high and incomprehensible. Complete data removal when changing from one iPhone to the other. DIY step-by-step software interface with guiding information. Go to the grave with your confidential information-contacts, photos, accounts, browsing history and more. 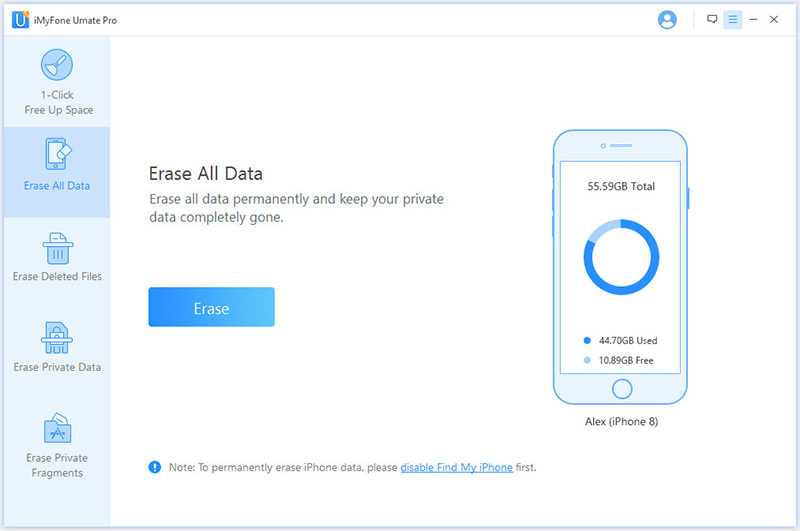 iPhone eraser software completely secure your privacy by erasing IOS data forever. Secure your already deleted files by erasing them completely whether in fragments or junks. Support to erase incomplete fragments and attachments of third-party apps 100%. Step 1: Download and install the software on your PC. Connect your iDevice (iPhone etc. to PC). 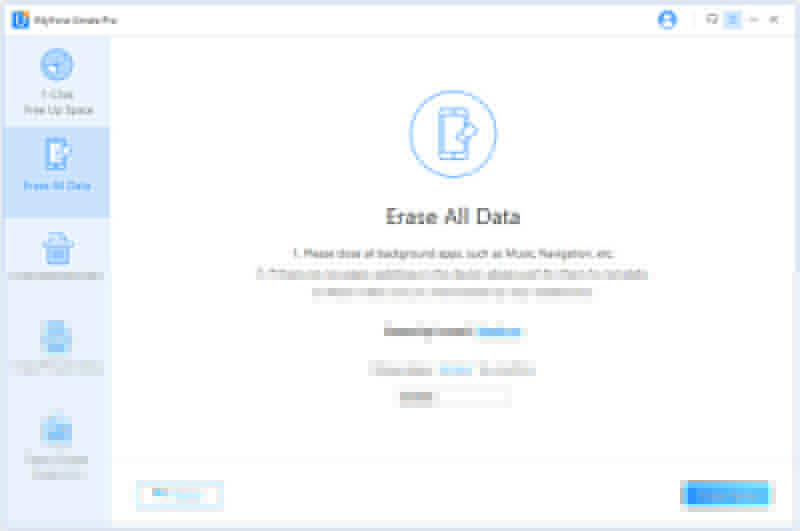 Step 2: Click on “Erase All Data” tab and click “Erase”. Step 3: Select security level by typing “delete” in the box to confirm your decision. Step 4: Click “Erase now” and wait for process to complete. Congratulations! Your data is deleted permanently and cannot be undone even by FBI or hackers. 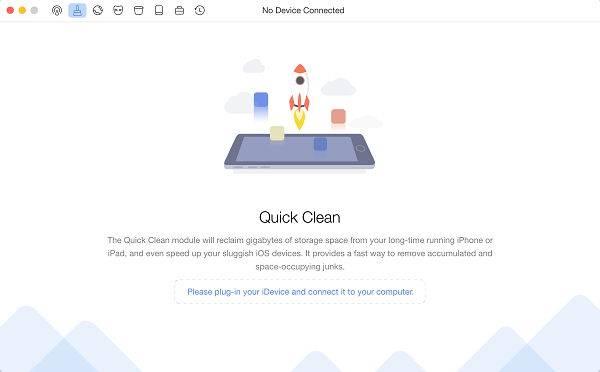 The PhoneClean software is an innovation of iMobie Inc. created to tune up iPhones in every possible way. The software job seems quite simple-it handles iPhone cleaning, privacy and maintenance services. 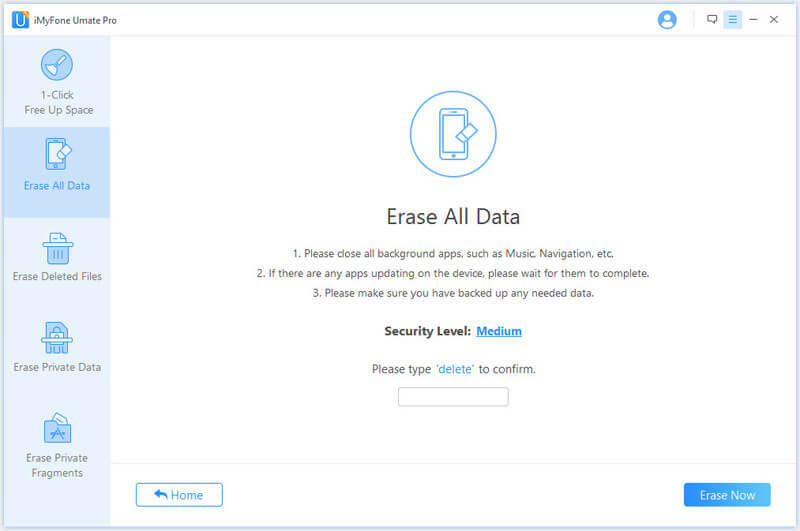 It’s also an iPhone eraser software created to free-up space, by targeting junks, cookies that slow the iDevices and put private data at risk. 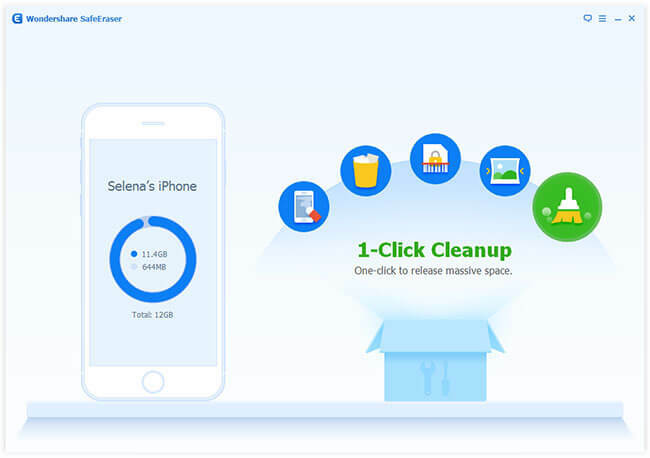 Similar to the iMyFone Umate, PhoneClean software protects iDevices from malicious attacks while surfing on the internet. Delete downloaded temp files, user storage files, and corrupted files. Keeps web surfing smooth and secure. Easy to use with quick clean feature. Can be complicated to operate once a while. The software itself comes with bugs. SafeEraser is another kid on the block in smartphone wiping and protection business. Rather sticking to iDevices, SafeEraser has a place for Android phones and iPhones. Like the contemporaries listed above, it protects private information when selling, recycling or donating your old phone. And it’s much more similar to iMyFone Umate Pro iPhone eraser software. Both created to secure vital information when people want to discard the phones. It removes deleted files permanently, clear private data and free up space for smooth operation. Permanently erase deleted files without the possibility of recovery. Clear private data and free up space. Speed up devices and clean junk files. Users get charged for tax which seems absurd. In all, every year thousands of personal files are leaked to public purview with damaging effects on the victims. The designers promise total security, but it seems nothing is perfect. However, having none is the biggest risk after all.